Judith Allen is the VFX editor on The Pirates! and member of thecallsheet.co.uk. This article has been updated for the Oscar Race 2013. Congratulations on the Oscar nomination. What has the reaction been like among your former colleagues and what do you make of the competition? Thanks. Everyone's massively happy. I think we've all taken ownership of some small part of the film in our own way, and we definitely all feel personal joy and accomplishment in the nominations it's been receiving. It's the year of stop-motion - three of the films up for Best Animated Feature Film and one of the shorts ("Head Over Heels") are in stop-motion, and the medium's very close to all those at Aardman. And of course, I'm not sure anyone was expecting the Oscar nomination at all. If I were able to vote (and it couldn't be for Pirates! ), then I'd probably vote for Paranorman. I think I enjoyed that most out of all the others I've seen - I went in with my technical VFX-spotting head on, laughed most of the way through, and came out full of emotion. Pirates! Was controversially overlooked by Bafta this year. Why do you think that was? Well, BAFTA do have fewer categories - and the three which made it in to the short list were massive. I do think that it's a huge shame that Pirates! didn't get the nomination in what's been a big year for animation in the UK. There aren't a huge number of animated features produced in this country, and it's always nice to be able to cheer on the home-grown films whether you know people who've been involved in them or not. What have you been working on since Pirates? I'm currently editing a series of 52 x 11min episodes of CG animation. The series is brand new, based on a children's book - and because of the positioning of editing within the animation process and how it usually starts within the pre-production phase, there's been a lot of character development and production discussions with which I've been involved. It's also been a huge inspiration to learn more about the other areas of filmmaking and how they feed into the editing process - I'm currently taking weekly screenwriting classes, I've done some acting lessons... it all contributes to the process of being able to build and refine characters and storylines - especially before they're actually animated. What’s the story of Pirates! 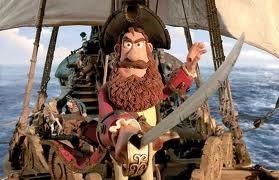 The Pirate Captain (voiced by Hugh Grant) is desperate to win the coveted “Pirate of the Year” award – despite the fact that he and his crew aren’t the most successful of pirates. In the process, he meets Charles Darwin – who has a bit of a ‘get rich quick’ scheme for the Pirate Captain, but it turns out that he has his own, rather sinister, agenda. The entire process has taken about five years, and we definitely have a lot of people who have been here for 3-4. I joined the previs team just as the first test shots were coming off the floor, and then became more involved with the VFX as that started becoming more detailed later on. As I write this, we’re actually about three weeks away from completely finishing VFX. Christmas is falling in the middle of that, so there’s a big push to get the majority of shots delivered at the end of this week – and then to sort out the final tweaks and deliveries in the new year. Somewhat ominously, our last scheduled day for VFX is Friday 13th January. What does your role entail and what’s the workflow between animation and through post production? What technology is used? When I first started I was working on previs full-time. We’d take the storyboard animatic, match that, make amends to angles and staging as required, and then bounce the sequences between previs and edit (and occasionally back to storyboard) a few times. Previs became a creative tool on this film as well, and the directors would request changes to shots as well as entirely new shots which could be mocked-up in the Avid using various effects, from other parts of the sequence. Once the previs sequence was signed off, the floor would take the information as a guide for setting up their cameras and the characters, and then the floor animators would work their magic. We used a lot of greenscreen when shooting – not only for the obvious CG elements such as the sea, but also to aid in shooting different elements of the same shot such as foreground and background characters – which could then be re-synched in edit. Once off the floor, the approved shot would go into the cutting copy, Justin (Krish, the editor) would make any necessary alterations to help the timing of the shot within the context of the scene, and then VFX would be able to work on it. As more shots from the same sequence came in and story changes were made, there would be further alterations requested for specific shots, which I would relay to VFX. My role is mostly about communication. I work closely with Andy (Morley) our VFX Supervisor and Andy (Ward) the first assistant editor to make sure that any changes to shots are communicated to the relevant department. I send a lot of shots through to edit to make sure that the versions they’re screening in reviews are reflective of the latest VFX outputs, and I do a lot of checking of timelines to make sure that the VFX shot matches the edit in the way that it’s supposed to – and that no surprise additional amendments have been added. That’s especially crucial for before the CG animation team start work adding in some of the complicated elements – they’ve worked on everything from crowds to ships to the trajectory of a flying whale! There’s also been a huge amount of shot tracking. With over 1500 shots to deliver, with version numbers and international alternatives, good note-taking has been essential. I mostly work in Avid, and although we have different projects for VFX and the actual edit we’re linked to each other through the Avid Unity and so we can send temporary shots and sequences to and from VFX and edit quite easily. We also have a Baselight on which floor plates and VFX shots are loaded for our VFX Supervisor, which I update frequently, and a Nucoda in the viewing theatre for shot and sequence reviews. We use OTC for our asset management, and the VFX guys are mainly on Maya and Nuke. We also use a lot of custom-scripted tools which automate a lot of the media transfer and transcoding that’s required for delivery, and being able to request new tools as the need arises has been incredibly useful. 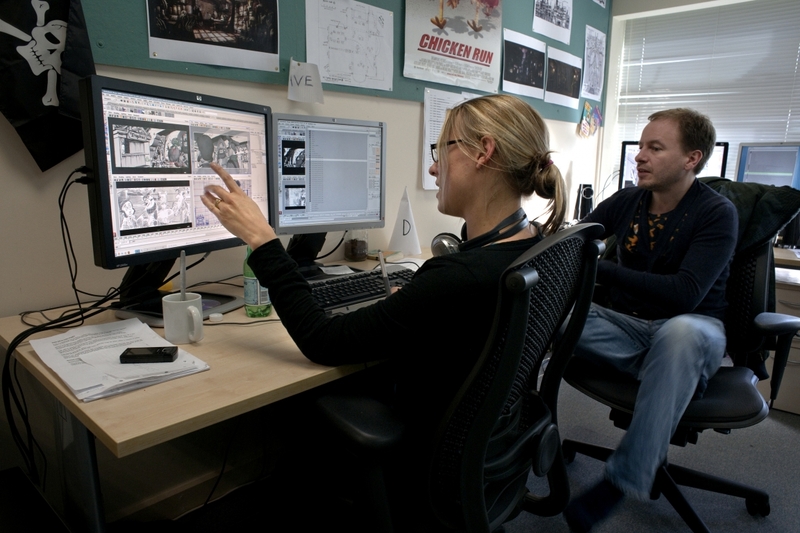 What particular challenges have you faced on this project and what is the Aardman environment like? This film has been shot and will be released in stereoscopic 3D. 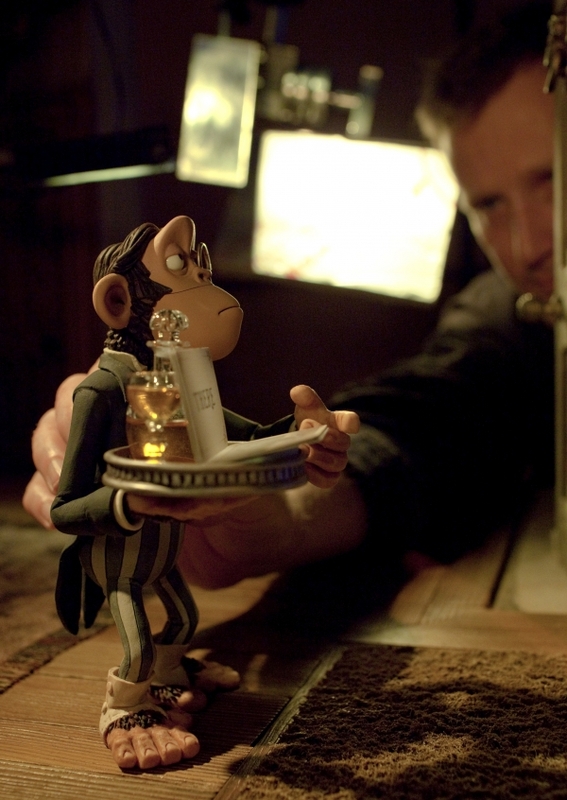 Whilst a lot of the VFX team have worked on that in the past and Frank (Passingham) our DoP had previously shot Coraline, it was a new creative and technical process for a lot of people here. We worked up the first few previs sequences in stereo to get more of a feel of how slight changes could affect shots before the floor started main production. In places that was a rather rapid learning curve, but we made it through. And then at the end of it all Avid released Media Composer 6, with stereoscopic features which would have been a dream. I've seen some of the new features in action now in demos, and I think if there's a sequel they'll have it a lot easier - technically, at least! I have no idea. I’m currently intending to move back to London and get back into the freelancing game. Ideally I’d like to get some assistant editor work in features with some established editors, and have a few smaller projects inbetween which I’d get to cut myself. But then, things can change so fast. I always said that I’d never work out of London unless Aardman called – and they did. I had less than a week’s notice before I originally went to Bristol (2 weeks’ urgent cover developed into 20 months), and you can never tell what’s just around the corner. I recently purchased a Kindle, which has put me back onto reading fiction in a big way. My tastes are quite diverse, so there are works by Shakespeare and Dickens on there up to Christopher Brookmyre, via Haruki Murakami. I enjoy going to the Theatre a lot. As an editor I find it useful to take the step away from analysis and cutting, and really engage with story and performance. I also spend a lot of time on Twitter and Google Reader keeping up with current films and relevant technology. Sad, but true. And ultimately necessary in this job. Which film or film maker would you most like to work with (who you haven’t already)? Danny Boyle. I can’t think of a single film of his that I don’t adore. The Pirates! is released on Wednesday 28th March nationwide.